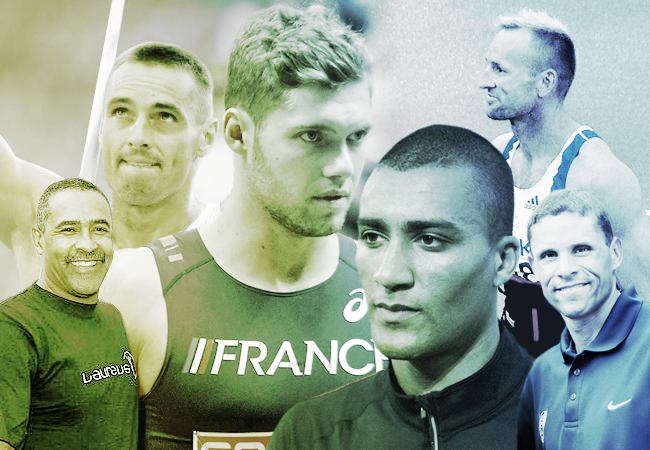 A month after Ashton Eaton broke the decathlon world record at the 2015 World Championships, I put together a blog post on the greatest (and completely imaginary) decathlon battle of all time. I didn’t anticipate having to update that post quite so soon, but Kevin Mayer only went and did the unthinkable, didn’t he?! His 9126 tally in Talence last weekend added 81 points to Eaton’s world record score, propelling him into all-time great status. Just a few hours later, people were wondering how Mayer’s series compares to Eaton’s, which prompted me to look back at this comparison of the decathletes who occupy the top five six places on the world all-time list. I’ll once again add this caveat: obviously these guys were capable of better marks than some of the ones they achieved within their world record series. And of course, had they all faced each other when they were each at their best, then the outcome may have been quite different to this. But this is purely a comparison of their PB scores – all of which were world records at the time – to see how they compare, event by event. Kevin Mayer comes out on top overall, of course, but is in either fifth or sixth place after each of the first six events. It’s only after the discus, the seventh event, that he moves out of the bottom two, then his pole vaulting propels him into first place, where he stays until the end of the competition. Eaton leads at just two points, after each of the two shortest events, the 100m and 110m hurdles. He dips to fifth place after the penultimate event, but his track prowess shows again in the 1500m and he ends in second place overall. Interestingly, it’s Dan O’Brien who spends most of the time in the lead, sitting in pole position following five of the 10 events. He finally slips out of the top two after the javelin and, as the slowest 1500m runner of the six men, moves down to fifth by the end of the contest. Czech duo Roman Sebrle Tomas Dvorak go through similar peaks and troughs, but their strong throws help them to a top-four finish. Like Eaton, Daley Thompson’s best events are on the track. But after spending most of day one in the top three, he slips to sixth after the discus and remains in that position.